The 2015 mechanical keyboards nominations round of was hotly contested, but we’ve typed up the top five, and now it’s time to vote. I love this keyboard. I don’t ever use the back-lighting though as I actually have it for work. I am on there 10+ hours a day doing code so why not have a pleasurable experience doing it? 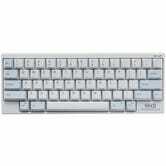 It is subtle enough to fit in fine at work (unlike some others on this list) and not nearly as expensive at the Das Keyboards. 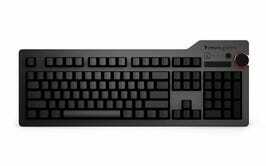 It uses real MX switches (unlike Razor) and has excellent build quality and sturdy feel to it. Plus there are no drivers for the monocolor version so it doesn’t violate my companies external software policies. The Corsair K/Strafe Series was our 2015 Gaming Keyboard winner. Das’ lineup now includes clicky and soft versions of ultimate (murdered out) line, clicky and soft versions of its regular line, a clicky and soft versions of its tenkeyless model (hell yes), and a Mac version with clicky and soft variants. Das Keyboard has been in the mechanical business for a long time—way before the current rise in popularity. For that reason, they’ve had time to refine their keyboards, stick to what works, incorporate new switch types and introduce models that work for more people, and overall just make really sleek looking, highly functional keyboards. There was a lot of love for the Das Keyboard Ultimate in the call for contenders thread, and as someone who’s used it myself, I can understand why. 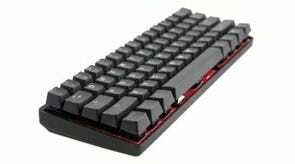 It’s a tank that’s designed for over 50 million keystrokes, packs a 2-port USB hub inside, features full N-key rollover (meaning pressing multiple keys at a time actually registers), and it’s available with your choice of Cherry MX Brown (quieter, softer) or MX Blue (louder, clicky) switches. 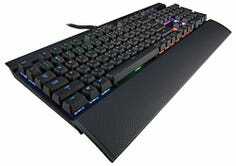 - Alan Henry for the Lifehacker 2012 Mechanical Keyboard vote, which Das won. 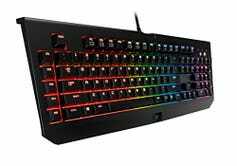 Honorable mention this week goes to the Razer BlackWidow, our 2015 Gaming Keyboard winner, covered in depth by Kotaku here.